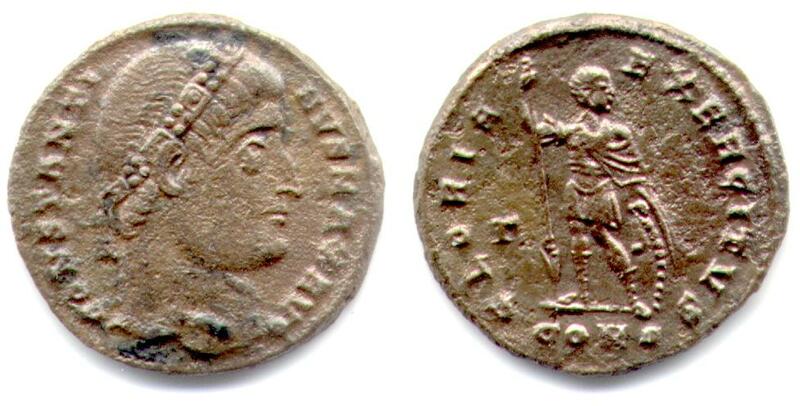 Constantine, his rosette-diademed head right. Constantine, standing left, looking right, leaning on shield and holding reversed spear. Minted at officina Gamma in Constantinopolis (Istanbul, Turkey) in 327 or 328 A.D.